Jodie Thorpe is a Research Fellow in the Business and Development Centre, with over 15 years’ experience in research and advisory work. With a background in political science, her interests and current projects include public-private partnerships in agriculture, inclusive business, making markets work for the poor approaches and systemic change in business and development initiatives. She is interested in generating solid evidence and practical solutions that influence business leaders and policy-makers towards sustainable development. 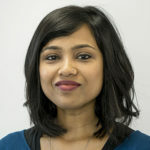 Prior to joining IDS, Jodie was a Private Sector Adviser at Oxfam GB, undertaking research and analysis, developing policy positions and lobbying companies and governments on business and poverty issues, particularly related to agricultural investment and markets, small-scale farmers, climate change and natural resource use. She was also a Director at SustainAbility, a global think-tank and strategy consultancy on business risk and opportunities for sustainable development. 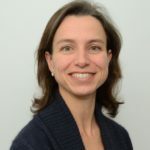 Jodie led the Emerging Economies programme and advised companies and organisations including Anglo American, Aracruz Celulose, Banco Real, Ford, Hindustan Unilever, the International Finance Corporation, Natura, Nestle, Tata Power and WWF. Jodie holds a BSc in Zoology from the University of British Columbia and an MSc in Comparative Politics (Latin America) from the London School of Economics. This paper is about making agricultural value chains work for smallholder farmers, and the way that governments can achieve this aim through public–private partnerships (PPPs). In this project, IDS will draw upon and expand its rich experience at the forefront of thinking about participation in development, and our emerging work at the intersection of participation and markets. We will co-create along with the Economic Advancement Program (EAP) at the Open Society Foundations (OSF), a deeper understanding of participation in economic advancement in general, as well as how EAP can bring participatory approaches into its own practice.